Lighting is perhaps one of the most vital, but overlooked design elements. A well-thought of lighting arrangement will surely enhance the look of your furnishings and the colors in the room. It will eventually make your space more comfortable and welcoming for all. A combination of three basic kinds of lighting together helps in achieving a great balance. For this perfect mix of lighting, think of Moroccan wall sconces! These beautiful and multipurpose fixtures can create the perfect Moroccan ambiance in any room. If you have a long hallway, every wall scone will be able to produce sufficient amount of brightness when placed at a six-foot distance from each other. 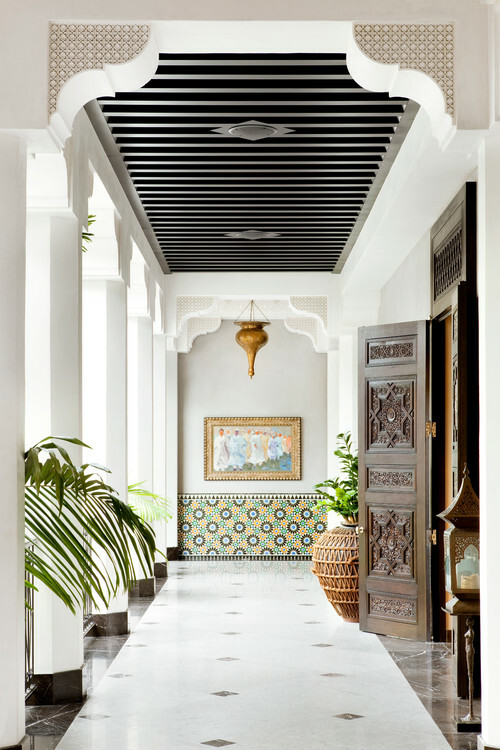 You can also think of adding a creative or ornamental touch by placing a Moroccan wall sconce on each side of the door or several wall sconces where the hall ends. Accent lighting is perhaps one of the best ways to make use of Moroccan wall sconces. You can use wall sconces to focus on a beautiful piece of artwork or an architectural element in the room. Wall sconces provide an elegant touch to any feature in the room. Typically, you should use matching twin sconces to highlight the feature of your choice. It helps in achieving an overall visual balance. Wall sconces function well for ‘task lighting’. The main objective in task lighting is to accomplish the correct placement or arrangement of the sconces. If you wish to create a corner for reading close to the wall, make sure that the lighting of the sconces and their alignment is perfect. It prevents any shadows or dullness in the area.